With the start of a New Year, Intel’s new Coffee Lake processors and winter sales on most of the game titles it is a great time for gaming laptops and other gears. For the price point of $500 the options a very large and diverse. To get the best bang for your buck is not an easy task since most of the options available will have a catch that will put you at a disadvantage. The key question to be answered for most of them is what your use case for the laptop is going to be. In our list of reviews below, we consider gaming as the main use case, but even then the questions like “What kind of games?” and “Will you be using it for something else?” arise. As a minimum requirement for hardware you can expect at least an i5-7200U for a CPU and a 940MX or better for a GPU is fine. It can play most popular titles at reasonable frame rates and visual quality. But obviously, these are entry-level devices and put AAA title at extreme settings would only lead to frustration. Knowing that is important so as to know what is the optimum trade-off you can make in order to get the best performance at the least possible budget. Another important factor, which at $500 is easily available, is an SSD and it severely improves the entire user experience by making the system more responsive and snappier. Same goes with the amount of RAM that is offered. The more memory your system has, the more you can multitask on it or run demanding jobs and VMs on it. 8GB or more of DRAM is ideal at the given price point. Next important factor to be considered is the display that you desire. 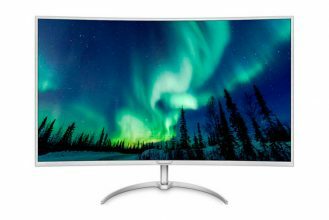 For decent gaming experience 1920 by 1080 resolution is ideal, for the given price point. Also important is the type of display that you are using. If you play single player games with immersive graphics and an open world, like Skyrim, or even games like Witcher or GTA, then you would want to go with an IPS display and not a TN panel. IPS panels have better color reproduction and wider viewing angles making them a superior choice for both gaming and productivity. On the other hand, TN panels offer much lower latencies and are thus generally favored for highly competitive games like CS: GO or DOTA 2. In some cases, TN panels also support higher refresh rates than most other panels making them all the more viable, despite poor color reproduction and viewing angles. Also important for a gamer are the ergonomics and the build quality of the device. Your hands must not get uncomfortably tired, nor should the surface heat up so much that it distracts you and throttles the hardware as well. You would need a decent keyboard, even if its Chiclet, it should have decent key-travel to it for a smooth decent. Lastly, we would also have to consider the way in which the laptop is meant to be used. Do you already have a PC and need an additional laptop for travelling and LAN parties? In that case, portability and battery longevity are both crucial as is the availability of ports for connectivity. If you intend on using it as your only computer, better focus on CPU horse power as well. The performance of Radeon R7 (Bristol Ridge) is slightly higher than the dedicated GeForce 920MX. 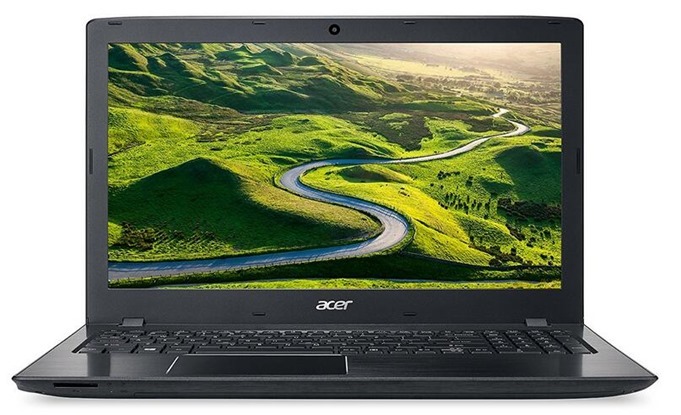 The Acer E5 is one of the first models to have come out with both the latest CPU and GPU available in the market at this time. Eager early adopters might want to take a peek as well as college students and budget-conscious gamers. Priced at $599 this is marvelous model has earned the editor’s recommendation for many a good reasons. The CPU is an Intel 8th gen i5-8250U with 4 cores and hyper threading enabled which allows applications to consume up to 8 threads if the workload is multithreaded. It is clocked at a base frequency of 1.6GHz but can turbo boost up to 3.4 GHz which means it can work longer consuming low power or do intensive workload depending on what you desire. Applications like video editing and rendering, running VMs, compiling or decompiling software, and compression or decompression all will see massive improvements with this CPU compared to its older generation counterparts like i5-7200U and i5-7300HQ. The single threaded performance itself is also quite impressive by being slightly ahead of the 7300HQ, making it the perfect option for gamers. The CPU is never going to throttle your games. Neither will the ample 8GB of dual channel RAM bottleneck your games. Although some applications might struggle with it a little, most games and apps will not be using all of it. In case you do want to upgrade your system, RAM and disk are easily accessible for you to swap them out. Next up, for storage we get a snappy and spacious 256 GB of SSD offering ample storage for your game library and for the media files as well. SSDs are always a welcome addition to any laptop, they improve its responsiveness. The loading screens on your display become considerably less annoying and much shorter and your PC boots in mere seconds. But what a gamer needs the most is a GPU which can push a decent 60FPS and that too at a decent visual setting. Nvidia’s GeForce MX150 is the one powering your games inside this device. It is an incremental update and still uses the Pascal architecture, but when compared to the popular options in this price point, which are the 940MX it is much more powerful in raw benchmarks and at the same time it is power efficient as well. It has 2 GB of dedicated VRAM. Display is proportionate to the GPU horsepower. The 15.6 inch IPS panel has 1920 by 1080 resolution which is optimal for both productivity and entertainment purposes. IPS panel means you don’t have to worry about poor color accuracy or pathetic viewing angles. The keypad and the rest of the ergonomics are mediocre but are never going to be a crutch and the battery life is an insane 15 hours on average. For ports we get 1 USB 2.0, 1 HDMI, 2 USB 3.0 and 1 USB 3.1 gen-1 type C connector. It weighs 5.27 pounds and is 1.2 inches thick. So to sum it up, you get a very futureproof, powerful, upgradable laptop at only $599 with a battery life so good you could almost forget that you need to charge it. It has portability, longevity, computing and gaming potential all at a very reasonable price! I am no stranger to the Lenovo Ideapad series, I use one at the moment. 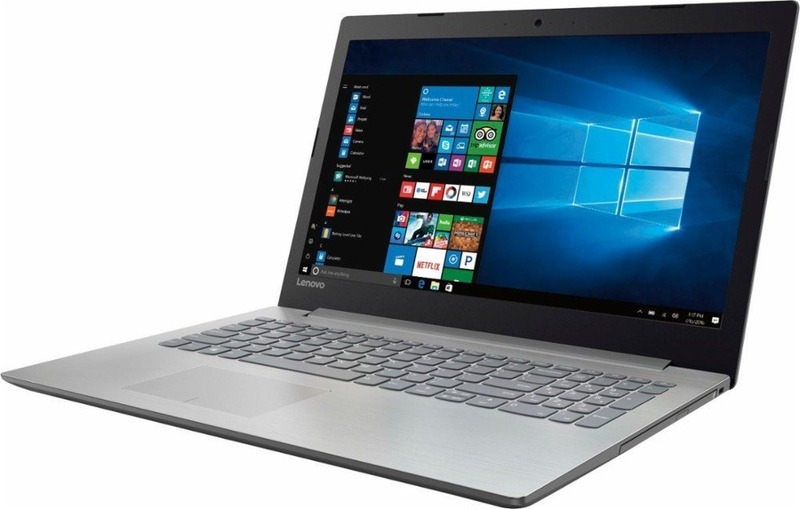 The sturdiness in making of even the budget laptop, as this one, is respectable feature in any laptop, but Lenovo is widely known for making their laptops robust. Lenovo, very cleverly, uses aluminum and plastic in the chassis and the overall effect is very appealing. This laptop looks very sleek and classy and the user hardly notices any plastic at all. The design makes a strong case with ergonomics of the device, making it light and comfortable to use. Plus, the variety of colors that come with this model will satisfy even the finest tastes. This particular model packs the new AMD Quad-Core Ryzen 5 with 4 cores and eight threads, giving the user the power almost equal to Intel i7 processor – 8550U. Namely, when hitting all four cores, the AMD Quad-Core Ryzen 5 is only 10-25% slower than Intel i7 processor – 8550U tested in most of the applications when hitting all four cores. How does this affect gaming? The new Vega 8 GPU is considerably powerful especially when both the CPU and GPU are working hard, which is the case in gaming. Again, according to AMD, Vega 8 GPU is 2.5 times faster than Intel UHD 620 in terms of raw computing, whereas in practical gaming scenarios Vega 8 GPU could be even faster than, making games like Civilization VI playable where they were previously not. Paired with respectable 8GB of RAM, multitasking can be done with ease. You can always upgrade to 16 GB RAM, giving you the comfort of work as much more expensive counterparts. The SSD drive is somehow small, but with the dropping prices of SSD drives you can easily upgrade to larger and faster drivers. This budget laptop comes with a display that will not leave you in awe, however, it is bright. You can adjust the brightness in the display settings to even higher level, so the full HD display, combined with the 2×2 w Dolby audio speakers that are loud enough to fill the room, make this laptop excellent multimedia companion. The lid goes all the around 180 degrees so you can use it at all angles. The keyboard is little bit spongy and the keys are flat, yet is better that this laptop older and more expensive sibling Lenovo 530. The touchpad is very precise and the multi gestures work right out- of- the- box, so you won’t need any third party software. The battery is what you would expect from laptop of this class, it lasts up to 5 hours, so it’s not that bad. This low budget laptop has a strong built and decent hardware, and targets buyers that need easy management of day to day tasks and have some fun along the way. The Inspiron 15 5575 is a pretty basic-looking laptop. Dell has given the plastic parts a metallic complete however once you hold it, it’s anything but difficult to tell that it’s not genuine Aluminum. The manufacture quality is very strong however, and the body of the PC doesn’t flex effectively regardless of whether you apply weight. It feels just as it will be tough enough for long haul use. The cover offers great insurance to the 15.6-inch LCD screen. The resolution is acceptably high at 1920×1080, and the edges of content and symbols don’t show up excessively barbed. Notwithstanding, the board utilized here is plainly not IPS quality, and so viewing angles are poor, and the colors are dull. You get a single hinge amidst the middle of the display, which likewise hides every one of the vents. This PC is very thick, and even with the top open, the base alone estimates 22.7mm in thickness. With a specific end goal to give it a figment of slimness, Dell has decreased the sides and front of the PC a bit. Connectivity is great, and incorporates two USB 3.0 and one USB 2.0 ports, HDMI, Ethernet, a SD card opening, a microphone and earphones combo attachment, and a DVD author, which is something we haven’t found in quite a while. What’s missing here is a USB Type-C port. The palm rest and trackpad are very spacious, and Dell has figured out how to fit in a full-sized keyboard finish with a number pad. The chiclet keys are all around separated however aren’t illuminated, and we didn’t observe the material reaction to be great either. They’re likewise very noisy. However, there’s no unique fingerprint sensor, even with this best end setup. The Inspiron 15 5575 model is fueled by a Ryzen 5 2500U CPU, which highlights four multi-threaded cores, giving you an aggregate of eight threads. The base clock is set at 2GHz yet that can be boosted to 3.6GHz, depending upon the errand taken care of by the framework. Designs obligations are dealt with by the incorporated Radeon Vega 8 GPU, which has eight register units and a base clock of 1,100MHz. The LAPTOP has 8GB of DDR4 RAM running in double channel mode, a 1TB (5400rpm) hard drive, double band 802.11ac Wi-Fi, Bluetooth 4.1, and a 42WHr battery. You get Windows 10 Home preinstalled, alongside Microsoft Office 2016 Home and Student Edition and a 30-day preliminary of McAfee LiveSafe. 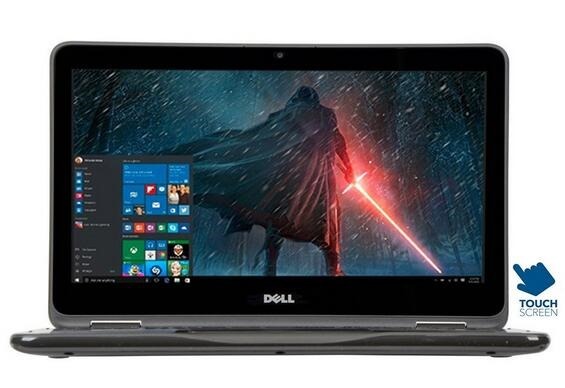 The Dell Inspiron 15 5575 experiences no difficulty playing 4K video records, in spite of the fact that it’s difficult to really appreciate media because of the absence of lustre display. In games, the integrated Vega8 GPU is favorable positioned over Intel’s integrated solution. In Rise of The Tomb Raider’s in-built benchmark, we normally get a single digit with Intel’s Core i5 contributions, with the resolution set to 1080p and the ‘Low’ graphics preset. The system is a good gaming laptop and high performing softwares can be run on the system smoothly with no hindrance. It has a competent integrated GPU and it is cheap to acquire, about $550. Next is an AMD centric configuration from Lenovo’s popular IdeaPad line up. Priced at $549 the IdeaPad 320 is equipped with an AMD APU, a snappy SSD and a Radeon R7 graphics. Let’s take a closer look. The processing capabilities are pretty limited but it is a true quad core A12-9720P clocked at 2.7 GHz with a maximum clock speed of up to 3.6 GHz. Its single threaded performance is comparable to that of an i3-7100U and it is only marginally behind the 7200U in multi-threaded workloads. It is quite capable of running most games or running CPU intensive workloads like running multiple VMs, thanks to its true quad core architecture. It comes with 8 GB of RAM which makes it multitasking quite effortless and smooth. For storage we get a snappy 256 GB SSD which doesn’t only improve the overall IOPS but also helps offer a much more responsive and fast-seeming experience. It is nice to have an SSD especially when the rest of the hardware platform is very old. It has a modern touch to it. Most important of all is the graphics capability which is powered by A12-9720P’s Radeon R7. It performs better than the Intel’s integrated HD 620 graphics and is still viable for light weight gaming. The display is equivalently of a lower resolution at 1366 by 768 spanning 15.6 inches. For casual streaming and multimedia consumption as well as for applications like Word Processing and using an Office Suite, this configuration is ideal. The build quality is superior and the platinum grey finish is very classy and professional in its own right. The battery life on average is 5.5 hours and the device is 0.9 inches thick weighing 4.41 pound. It is light, slim and portable. For connectivity, we get wireless 802.11bgn, 2 USB 3.0, 1 USB type-C, 1 USB 2.0, and an HDMI port. All in all, the IdeaPad 320 has a very aesthetic design, professional look, and comfortable and snappy user-experience at $50 less than the Acer E5 we saw above. It is also considerably lighter than the Acer E5 making it much more portable. With thin bezels, and a distinguishing sleek design the Asus VivoBook is certainly one of the most compelling and stunning model on our list and it has all the latest gen hardware for its inner guts as well. It is priced at $689. Let’s have a closer look at it. For CPU we see the familiar face of an i5-8250U along with all the glory of 4-cores, 8-threads that it brings. It is clocked at 1.6 GHz and it can turbo boost to 3.4GHz. Its power is now well-established as superior to most other CPUs which previously dominated the market at this price point. With this processor and 8GB of DRAM the VivoBook offers competitive horse-power to run most of your daily productivity as well as creativity related applications. Even gaming is hardly ever bottlenecked by this kind of processing capabilities. Storage is a bit disappointing, given the price point. It has a 1 TB HDD at 5400RPM where as many other vendors offer faster, smaller SSDs at this price point instead. However, if you absolutely need that kind of space, it is better to go with a larger SSD. Display is a gorgeous 1920 by 1080 panel employing the IPS technology and with a matte finish. Undoubtedly, this display is guaranteed to offer a good visual experience both indoors and outdoors. It is surrounded by an unusually thin bezel; The NanoEdge Display is a comfortable and elegant design. The rest of the laptop is equally well-built. The chassis has a dull-grey finish to it and the black keys and display bezel really stand out when viewed against them. It weighs only 3.7 pounds and is only 0.8 inches thick. For connectivity, we get 1 USB Type-C gen 1 connector, 1 USB 3.0 port, 2 USB 2.0 port and an HDMI port. It also has an integrated fingerprint scanner for higher security along with easier access to files. 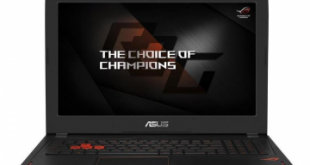 Although a bit higher priced than the other models, the quality and assurance of Asus makes it a really compelling choice for both productivity and entertainment. Professionally build and with a future-proof CPU that packs a punch! If you desire great performance at a low budget, this is the perfect fit for you. Priced at $533 it offers the latest 8th gen Coffee Lake CPU from Intel, an enormous amount of memory and the only corners cut are in terms of screen resolution and graphics performance. Let’s have a closer look at the model. The CPU is an i5-8250U with 4 cores, 8 threads clocked at 1.60 GHz and can turbo up to 3.40 GHz with 6 M of L3 Cache . With the latest gen processor Intel has finally gotten higher core counts in for laptops and other mid-tier devices. This is great for both content creators and gamers alike. What makes it even more appealing to the power-users is the ample 12 GB of DRAM for main memory. You can multitask heavily on this system or do memory intensive tasks on-the-fly with this laptop. Being a budget system HP has decided to with 2 TB of HDD for storage which only a few people would prefer over an SSD but if you need to store large media files or raw data, like most content creators do, and you are just starting out, then this is going to offer an enormous amount of storage. Over the long run, we do recommend upgrading to an SSD. As for the graphics and gaming capabilities go, this model tends not to over cram the motherboard with 940MX or something like that, but goes with integrated Intel HD 620 graphics which is pretty limited in terms of gaming capabilities and you can play older games like CS: GO on it. The aesthetics and build quality reflect the professionalism that is expected from HP. Jet black chassis with hard plastic body that is rugged and at the same time a pleasure to work with. It is 0.94 inches thick and weighs only 4.3 pounds. For connectivity we get 2 USB 3.1 ports, a USB 2.0 port, an HDMI port and an RJ-45 Ethernet port. For the given price point, it offers a lot of computing horse power in exchange for poorer gaming and visual performance. It is light, fast and future-proof and with an enormous amount of memory making it quite desirable for content creators and enthusiasts alike. This particular model from Dell tries to find the right balance between budget and performance and does it quite well. The laptop is priced at $489 and is feature packed without crossing the $500 mark, which is impressive. The processor is AMD’s A12-9700P which is not the same in terms of graphics seen in the IdeaPad 310 and we will come back to that later. The base clock speed is 2.5GHz and it can go up to 3.4GHz for intensive tasks. The main memory or RAM is also a sizable 8GB which is enough for most modern applications for productivity and media playback. The storage is a 1TB of HDD which, as we have mentioned before, is the major bottleneck to performance. The next thing to look at is the gaming performance which is powered by Radeon R7 which works better than the R5 but is still a little weaker than its Nvidia counterpart. The CPU intensive games like Minecraft would still run better on this machine owing to its true quad-core architecture and better clock speeds. However, the fact that it has R7 graphics is good news considering that the display it supports is a beautiful 1920 by 1080 resolution, 15.6 inch FHD panel which is a lot more demanding than HD. Another surprise regarding the display is that it is a touchscreen and with the newer Windows 10 and its Tablet mode of use you can be quite productive using the touchscreen. The build is sturdy and ergonomic and weighs 5.1 pounds. The Chiclet keyboard is backlit and the overall look and feel of the device is premium. For ports and interfaces we have 2 USB 3.0 ports, 1 USB 2.0 port, an Ethernet and an HDMI port along with a 3.5mm microphone/headphone combo jack. The wireless technology used is 802.11 ac which is always nice to have on a portable machine. Coming back to the budget oriented gamers the Acer Aspire offers the perfect balance between gaming performance and computing horsepower and that too at an affordable price of $580. For the CPU we get an Intel i5-7200U with 2-core, 4-threads and 3M of Cache. It is clocked at 2.5 GHz and can turbo up to 3.10 GHz. In multi-core performance it seems poorer than the 8250U but in the single core performance it is quite close. Which means gaming on it is going to be a similar experience. With 8GB of RAM you get to do a lot without compromising the responsiveness of the system. Storage is an equally interesting aspect of this device. It has a 128 GB SSD for installing your operating system and the most frequently used games and applications. However, it also has a 1 TB of HDD for storing large collection of media and games. Acer is nice enough to make the bottom panel for RAM and hard disk easy to open, so you can upgrade both of them, if the need arises. Gaming performance is equally impressive, for slightly lower price you get slightly poorer GPU, the Nvidia 950M with 2 GB of GDDR5 VRAM. Yet again, you see only a marginal difference between the performance of the 950M and the 150MX. Display is an equally impressive 15.6 inch 1920 by 1080 panel, ideal for both gaming and productivity. It is 1.2 inches thick and weighs 5.27 pounds and has a 12 hours of average battery life. Making it a proper choice for long hours of office or college and at the same time. At the same time you can also you it for a decent evening of gaming sessions. For connectivity, it has 1 USB 3.1 type-C port, 2 USB 3.0, 1 USB 2.0 and an HDMI port. At only slightly lower price than our most recommended Acer E5 E5-576G-5762, this model offers a competitive performance and is a good resort for anyone who is needs to game and work but at the same time $20 or more. At the center of this laptop is the most recent generation of AMD quad core Kaveri platform. The Lenovo IdeaPad Z50 is not a 3D gaming laptop. However, it works very well for daily multimedia entertainment tasks and productivity. With a cost of a little above $400, this laptop still offers many features that make it a good buy. This laptop, with its solid slim design, is directly aimed toward those consumers seeking a budget laptop. 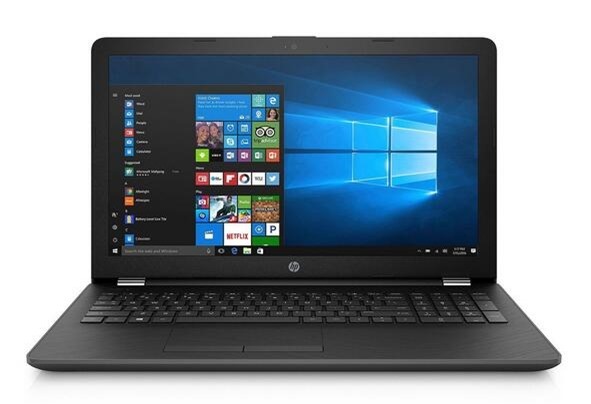 The manufacturer has used solid black coloring and a brushed aluminum design, along with soft touch materials to make this laptop appear more expensive and robust than other laptops in its class. With display resolution up to 1366×768 pixels, the display is slightly less than other laptops in the price range, which have a sharper resolution at 1920×1080. This makes the pixel count one of the downsides of this unit. The AMD FX 7500 quad-core, at up to 3.3GHz is used in this unit. In terms of CPU speed and power consumption, it is comparable to the Intel Core i7-4500U/4510U dual-core. Both of these chips have been optimized for use in low profile notebooks. The CPU performance of both chips, according to AMD, are very similar. This is been confirmed with PassMark benchmarks of (~3750 vs ~3900 points in Intel’s favor). This means that, in reality, there is sufficient power for daily tasks and the demanding needs required for video and photo editing, as well. It should be noted that in the integrated graphics department, the Radeon R7 series IGP used in the FX 7500 is noticeably better than the results found with the i7’s Intel HD 4400, with over a 50% in 3DMark benchmarks advantages being claimed. This means you should be able to increase your graphics settings and resolution up from the lowest settings, however, mid- and high-end gaming are still better played with dedicated video cards. This laptop gives smoother and faster performance when compared to other laptops in its price range, thanks to the combination of the 64-bit version of Microsoft Windows 10 as the operating system and 12GB of DDR3 RAM. The IdeaPad Z50 works well with the majority of modern office and productivity applications. You get a lot of storage with the Z50 laptop. The 1TB of Serial ATA hard disk drive running at 5400RPM allows for a great deal of document and multimedia storage. This laptop is easy on the pocket book, and comes with a full numeric keypad and a full non-backlit, black keyboard. You can expect up to five hours of battery runtime from the 4-cell Lithium Cylinder 2200mAh battery that the laptop uses as a power supply. You will not find multi touch screen technology on Lenovo Z50 laptop. However, the portable design, along with its large storage capacity and full connectivity features, makes this laptop, which sells for around $400, a good value for your hard-earned money. 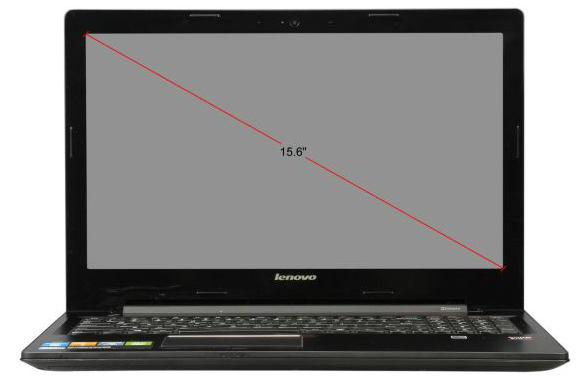 If you’re considering a new laptop be sure to take a look at the Lenovo 15.6 inch laptop. To sum it up, at the $500 dollar price point your options are quite diverse. We have the Acer E5 E5-576G-5762 which offers the best bang for your buck and the best gaming performance. 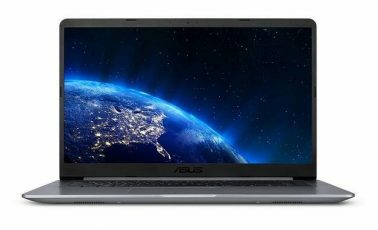 At the same time, there are models from HP which offer enoromous processing or if you want something professional then you can always go with the Asus VivoBook. As a rule of thumb, go with the one that suites your requirements and workload the best but if you are unsure, there’s always our most recommended Acer E5 E5-576G-5762 which won’t disappoint you in any of the aspects.